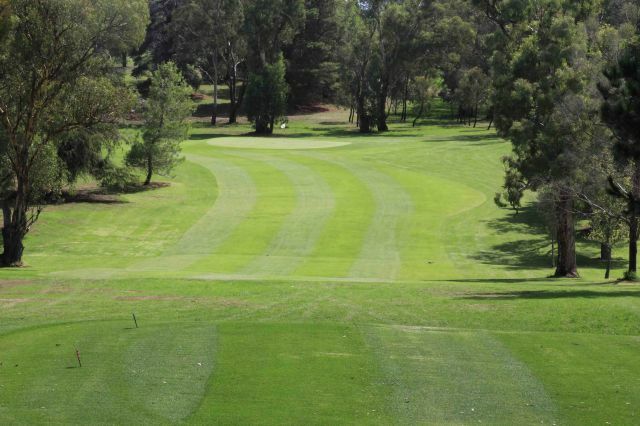 Easy dogleg right par 5 to start, but beware the sloping fairway from left to right and the signature boulders and gardens that can come into play off the tee. Green is guarded by three bunkers, two right and one left. Large green sloping predominantly from back to front. Ensure your approach is up, to avoid running back toward the green front. Danger on the green if you under read the slope or speed. 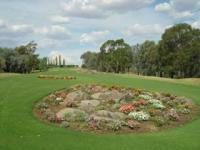 Creating a beautiful backdrop on the first hole are the ornamental gardens with their many and varied colours. Thanks to the wonderful volunteers for their tireless work here especially Adrian and Chris. Straight par 4. 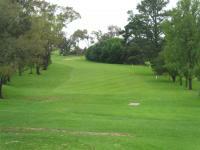 A faded tee shot will hold the fairway however, that brings the boundary fence on the right more into play. 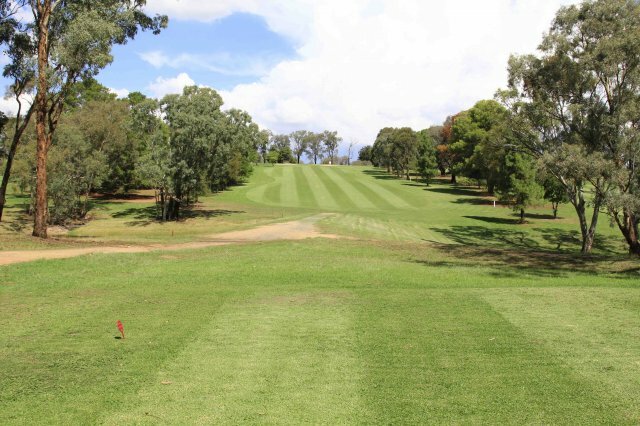 A terrific risk/reward tee shot where an accurate and long drive makes for an easy pitch in. If you lay up however, your 2nd shot is played from a sloping fairway that will pull your approach to the left. Green is well guarded all around with bunkers, however the putting surface holds few fears. 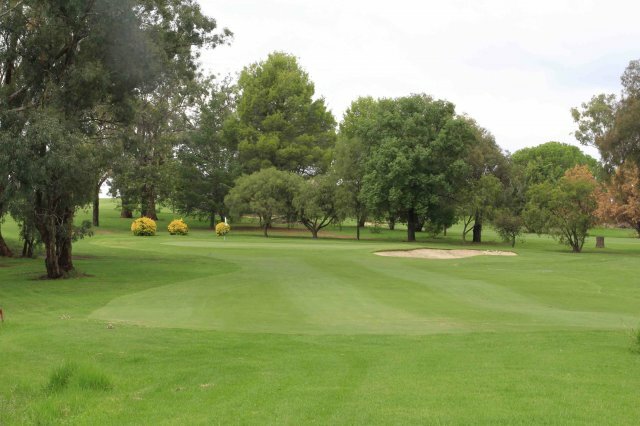 Straight and short par 4 that rewards accuracy from the tee with a simple pitch to a green guarded by a bunker short right and a sloping bank in from the left. A straight to slightly drawn tee shot suits best. Get the distance correct with your pitch and you will have a great opportunity to make the putt. A real birdie chance. Dog leg left par 4 that requires accuracy both off the tee and to the green. Draw your tee shot and it will increase your hitting area. 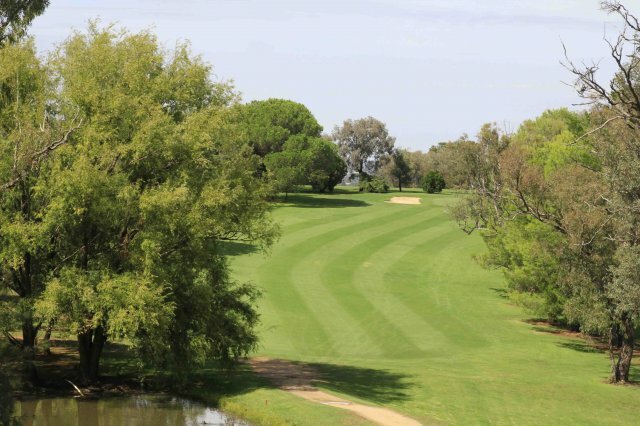 2nd shot must be played through a narrow gap in between two huge gum trees to a green with a large bank at the back. This will help stop the ball, but don't overclub or you will be left with an impossible shot back down from the top. Green is easier compared to most others, so long as you avoid the bank at the rear. Medium length par 4 with a hazard on the left about 110 metres from the tee. Requires a straight tee shot to hold a slight left to right camber on the fairway. Slight dogleg right to a sloping green from back to front. Still some work to do on the green to achieve par. Dogleg left par 4 that requires restraint from the tee. A well placed long iron is all that you need from the tee. 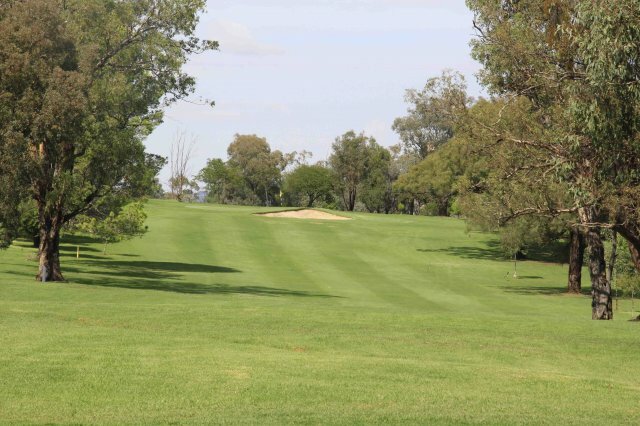 Ensure you aim across the tee, as the tee box points down the wrong fairway and can catch the unobservant. 2nd shot from a downhill lie to a green above the player. Large bank at the back of the green catches slightly over hit approaches. More slope and speed from right to left as the hole plays than there seems. Good short par 3 hole with out of bounds lurking right. Only a mid to short iron that suits a faded approach. Sloping green from back to front with swales short and off the left side. Another tricky putt if you are coming down the green from back to front. Straight downhill par 4 over 400 metres. Out of bounds on the right and a sloping fairway from right to left. No bunkers but a large slope off the back of the green means you don't want to be long with your approach. Green slopes from front to back unlike all others. A good strong par 4. Short par 4 that does not require driver from the tee unless you are going for it. Suits a drawn tee shot. Only a pitch in to a well guarded green with bunkers left and right. Approach shots hit with too much spin or not far enough up the green will come back off the front. Imperative that you never fly the ball over the green. Another green that requires a deft touch. Longer par 4 that plays all downhill. Tighter driving hole that suits a fade off the tee. 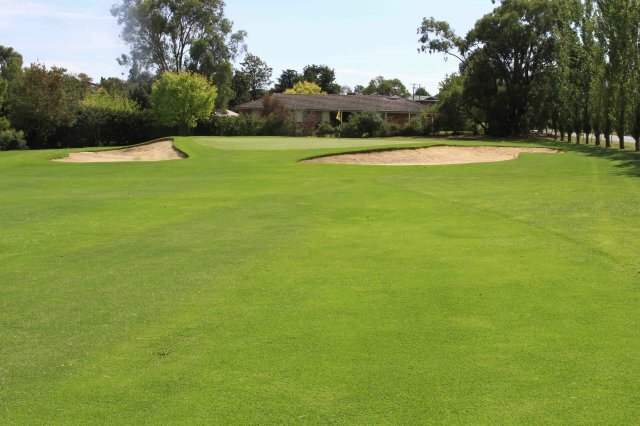 Modest sloping green that rolls from right to left as you play it. A faded approach is best but can be difficult off a right to left cambered fairway. A wonderful test of golf. 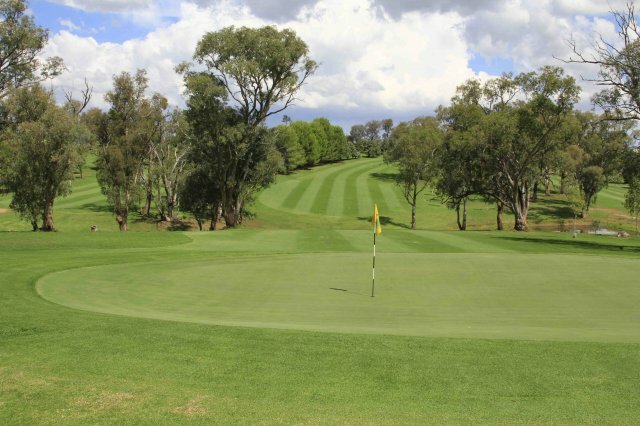 Tight and straight par 4 that plays all uphill, which also means that it plays considerably longer than it measures. A higher drive gives more margin for error off the tee but still requires accuracy. Trees both left and right penalise the wayward drive. 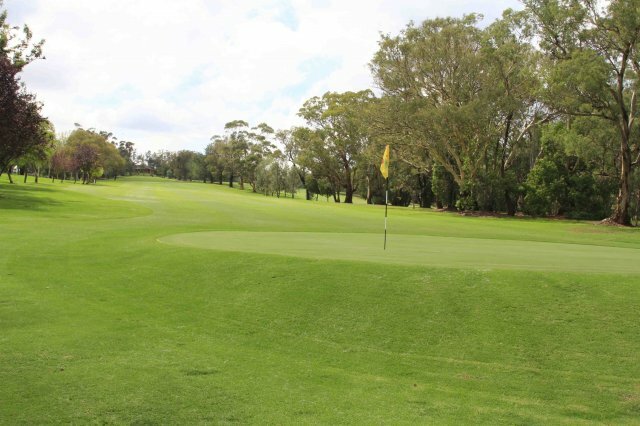 Take a club or two extra for your approach to a green that is guarded on the right with a bunker and has a false front for the first third of the green. 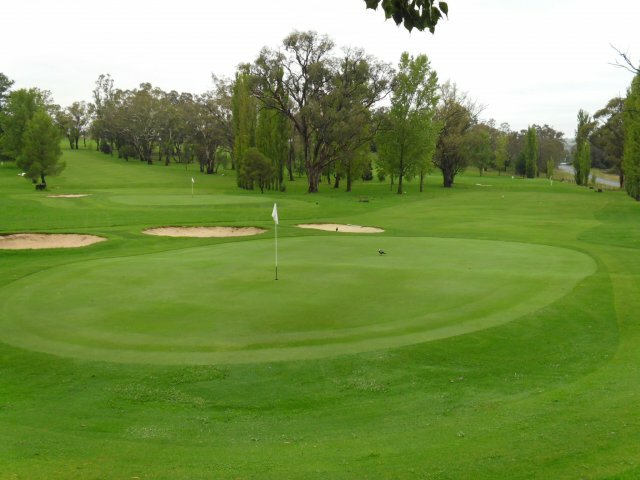 Difficult green to make putts of any length. 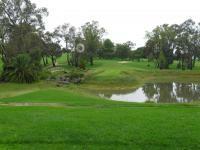 A very challenging par 4 hole were par is a good result. 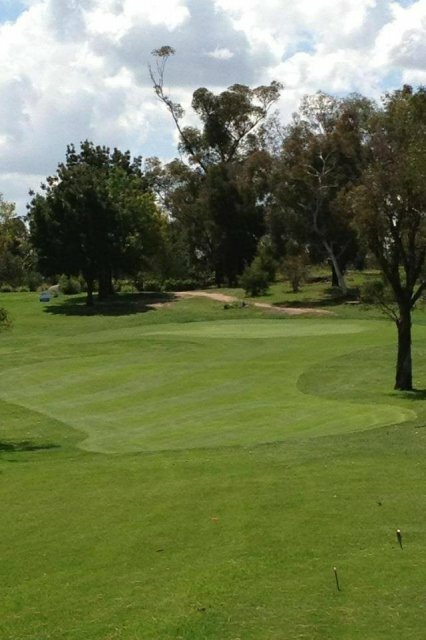 Moderate length par 5 hole that provides a birdie opportunity. 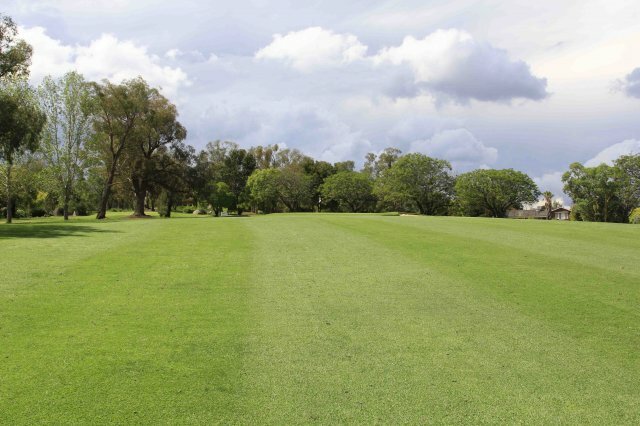 Ideal shot from the tee would fade to give you more fairway to play to. Second shot is played off a downhill lie to an uphill fairway, so it can be difficult to get enough height. Undulating hole that changes elevation and direction. A large bank at the front of the green means you must be up with your approach. A chance for a birdie, but don't leave your approach short. Long par 3 with no bunkers, but still a handful to make par on. Suits a faded tee shot, but be happy with anything on the green. Shots landing pin high to the left will kick away from the green. Deceptively more slope on the green than you may see from right to left. Straight and uphill par 4 that rewards the power hitters with a shorter approach. 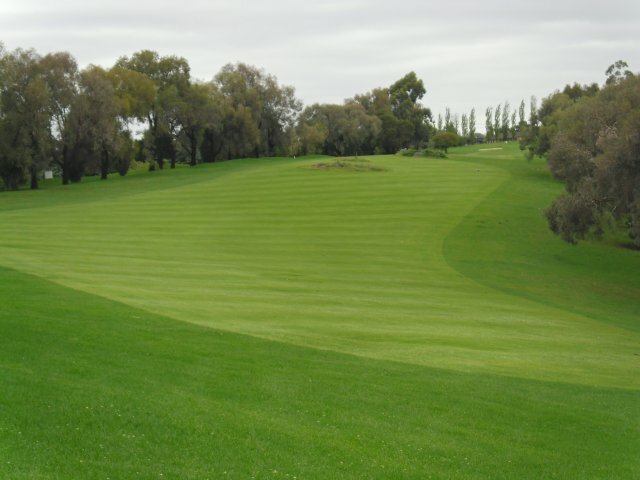 Others will need to take an extra club to reach the middle of a green that slopes markedly from back to front. Bunkers guard both the left and right side of the green. The bunker on the right is strategically placed short and in view to lull the player into thinking the green is closer than it is. A deft touch is required on the green. 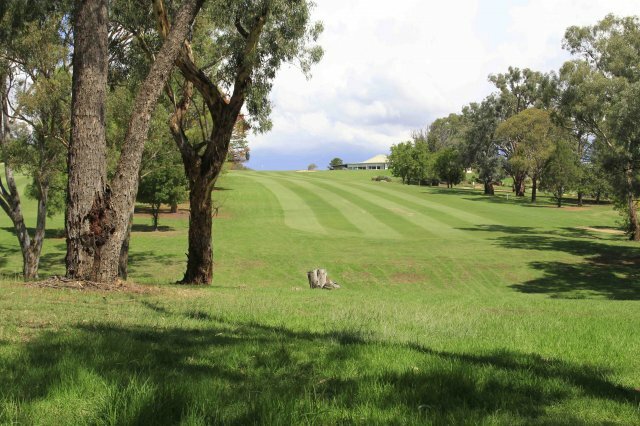 Downhill and slightly doglegging par 4 that starts from the back of the Pro Shop. 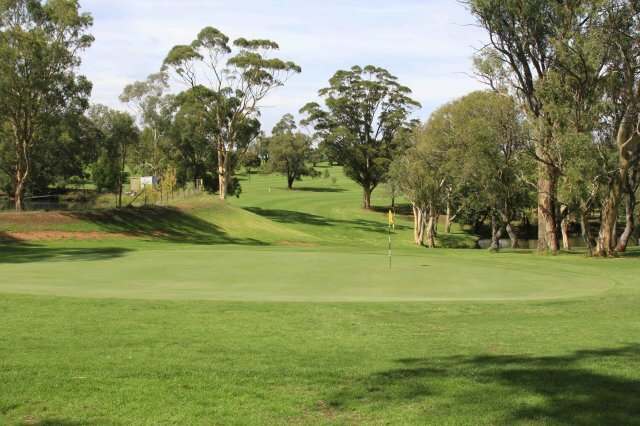 Straight forward hole that provides a birdie opportunity with a good drive. Only a short approach to a green without any bunkers. Not a menacing green, but ensure you read enough break from right to left if coming up the green. 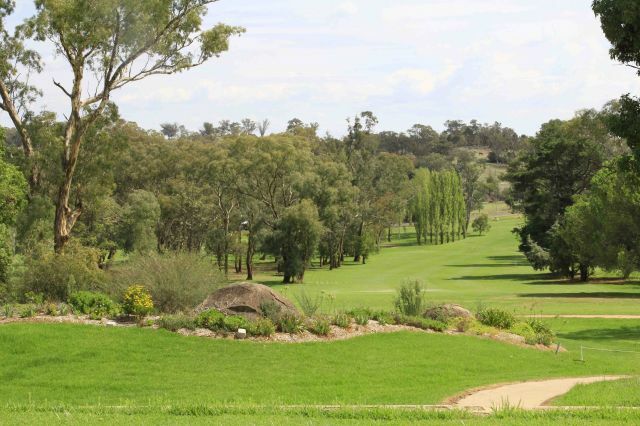 16th hole is a mid length par 3 played along the boundary fence. An engaging hole with many dangers from the ever present out of bounds to the left, to the three strategic pot bunkers diagonally up the right. Two tier green that slopes from back to front. Many a round has come to grief on this hole. Beautiful water carry par 3 that only requires a mid to shorter iron. The water does not really come into play unless you don't carry the ball 100 metres. A lone bunker on the right guards the front of green. 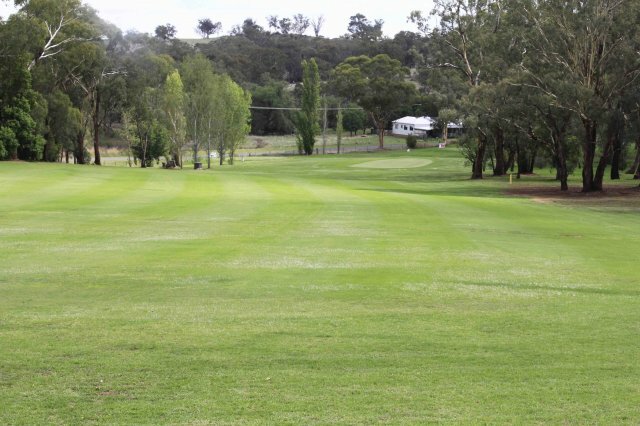 Carry the ball into the green here with confidence as the green slopes from back to front and always holds well. Closer view toward the green on 17th hole. Picturesque and appealing to the eye. Lone bunker short right. Green slopes from back to front. Straight away par 4 of medium length that always plays longer than it reads because it is all uphill to the "19th hole". Two straight shots and you are home, but be careful with your club selection on your second. Underestimate the uphill and there are two bunkers to catch your approach. Overclub and you have a nasty pitch back to a green that is wide but not deep. Club selection and judging the wind is critical.